The club meets on Tuesday and Friday evenings. You are warmly invited to come along and spend an evening with us to find out for yourself about the club’s activities and layouts. 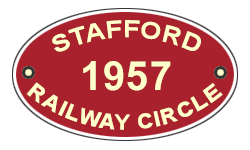 Our modern and roomy clubrooms are just off the A34 on the Stafford side of Stone, very close to where the A51 comes in from Rugeley. Colin Hill: 01785 211992 – or you can email him from here. Terry Robinson: 01785 816666 – or you can email him from here. You can contact the Webmaster if you click here. If you have an event that you would like to have publicised on this website, please contact the Webmaster by email.